Some people get really manic about their Chick-Fil-A, and as we’ve seen, some do not. But a survey of the company’s 10 most-purchased items, as featured on the Today show this week, is a bit puzzling. The branch’s beloved lemonade, for example, is all the way down at number six. Soda is number two, which sort of makes sense since you’re bound to get a beverage with every meal you purchase—but why wouldn’t you get the lemonade? Missed opportunity, there. 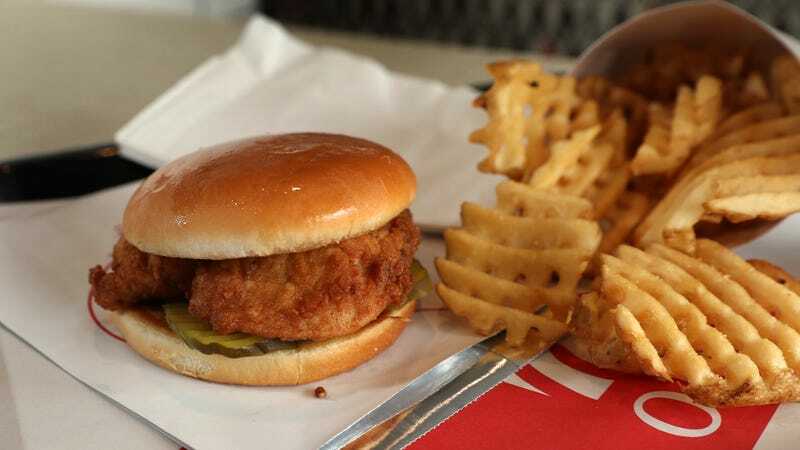 But most surprisingly, that legendary chicken sandwich that some people wait in huge lines for then gets knocked down to number three below soda. The winner? Those crispy waffle fries. Guess they’re not too “potato-y” for diehard Chick-Fil-A fans. What exactly is air-chilled chicken?